Tucson, AZ — Harvard Law School student, Iris Zhou, performed a three-week internship at IDA Headquarters in Tucson, Arizona where she researched case law related to light pollution. As a part of her internship, Zhou performed a 50-state search of case law regarding light pollution, light trespass, and inadequate lighting. Light pollution case law in the U.S. reflects that there is no federal statutory or regulatory framework for lighting. Unlike issues related to air or water pollution, the use of light and lighting regulations are delegated to state and local municipalities. 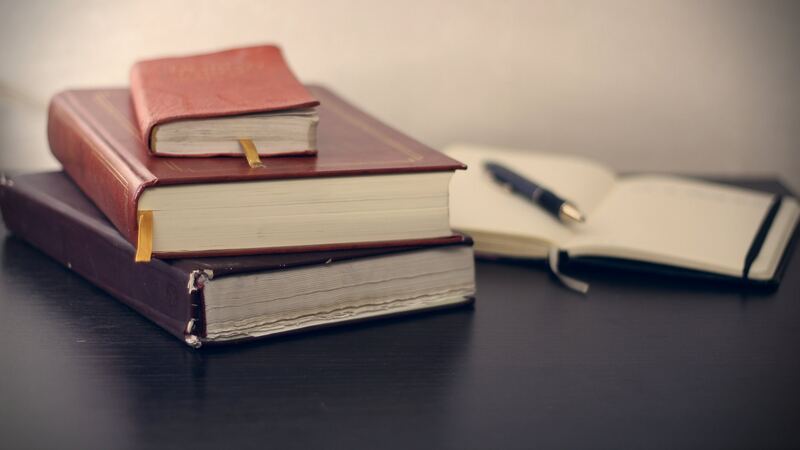 The purpose of the Light Pollution Case Law study was to research and analyze court cases at local levels which challenged specific issues related to light pollution. Light-related lawsuits are becoming more common. With the rapid advances in artificial lighting, and more than 99% of the U.S. population living under light-polluted skies, cases related to lighting are becoming more common. 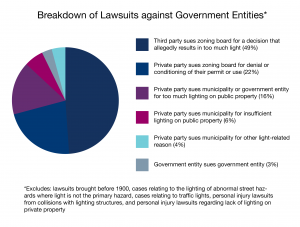 94% of lawsuits brought against municipalities and other government entities were based on too much lighting (as opposed to insufficient lighting). Only 6% of the cases studied were brought by private parties against municipalities or government entities for insufficient lighting. (The study excluded situations involving an abnormal hazard, such as a hole in the sidewalk where lighting was a secondary issue.) The majority of claims brought for not enough lighting were dismissed. It appears that, unless there is an existing statute or contract in place, government entities do not have a legal obligation to provide a certain level of street lighting. Most courts find that public lighting does not constitute a public nuisance. In most situations where an individual brought a lighting case against a municipality or government entity for producing too much light, the courts found that the public benefits sought by the local government outweigh the harm suffered by the plaintiff. The complete Summary Findings of case law related to light pollution, light trespass, and inadequate lighting can be found here. The light pollution cases show that claims of light nuisance are very fact-specific, dependent upon local law and restrictive covenants, and are often related to other nuisance issues. From Zhou’s research, it appears clear that litigation success requires effective advocacy to establish public support for public lighting policies that serve their communities. The IDA Board of Directors and staff are committed to the continued development of a cohesive, forward-looking and nimble network of advocates who share and collaborate on leading-edge best practices and tools to enact effective lighting policies in the U.S. and abroad.